The Samsung Tizen Store continues to buzz with activities, with a couple of new apps getting on the store. This is reflected in the diversity of apps / games that make up the top 20 most downloaded apps on the Tizen Store by Samsung Z1 and Z3 smartphone owners each month. The month of August was no exception, as a some new apps and games have made it on to the top 20 most downloaded app chart. Whatsapp Messenger still occupies the topmost position as the most downloaded app on the Tizen Store, something it has been doing for a while now right ever since the native version which doesn’t rely on ACL was added on the Tizen Store. 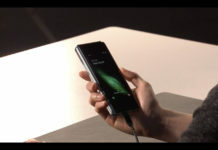 Media player app MX Player occupies the second position, displacing SHAREit to the third spot and sitting at number four is an entirely new Voice Recorder app, a surprise inclusion. Candy Rain 3 is proving not to be a fan favorite after all, dropping seven places from third most downloaded for July, to tenth position. 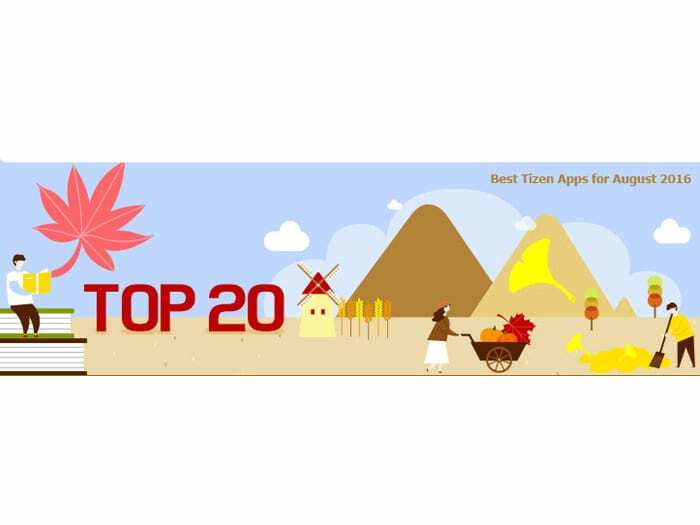 The Tizen ecosystem has continued to evolve each month, with August seeing four new apps / games getting on not only the Tizen Store but also featuring in the top 20 most downloaded apps / games. The new entrants include two apps, Voice Recorder, and photo app, Photo Effects as well as two new games, Jungle Run, and World Crickets Championships 2. 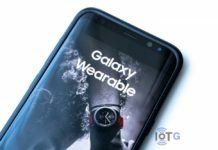 The Tizen Store still has the must have apps like Facebook Messenger and Facebook, as well as those requested by users such as UC Browser for Tizen, Opera Mini Browser, and MX Player. 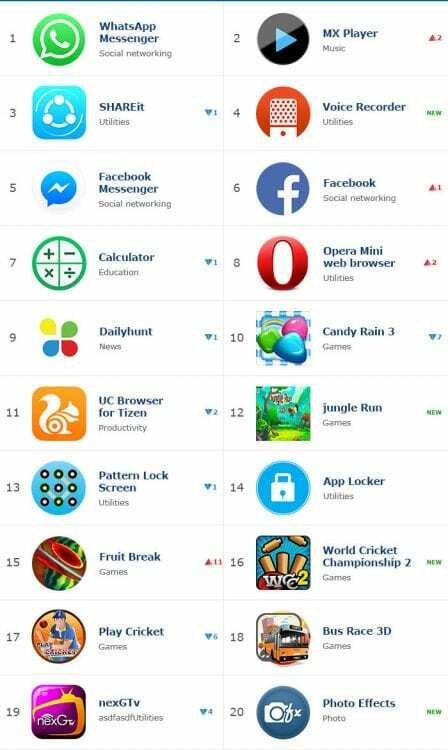 The Top 20 most downloaded apps / games chart is expected to get some surge and perhaps see some more apps and games getting on board since the Samsung Z2 is finding its was into the market and on to more diverse audience whose taste in apps and games differ.